Sunday, September 2nd is the date for our club’s annual attempt at Farnsworth Bank dive site on the backside of Catalina Island. We use the word “attempt”, because all of the stars need to be aligned to manage a dive at this incredible, southern California dive site. Located a couple of miles off Catalina Island in an area subject to strong currents, this dive site is comprised of three large, underwater pinnacles. The dive site begins at 50ft and goes down from there! Because conditions are sometimes tricky, this dive is rated for advanced divers only. If you’re not sure that you qualify, email Buck to discuss it with him; sometimes just finding a more advanced dive buddy for this one is all you need. 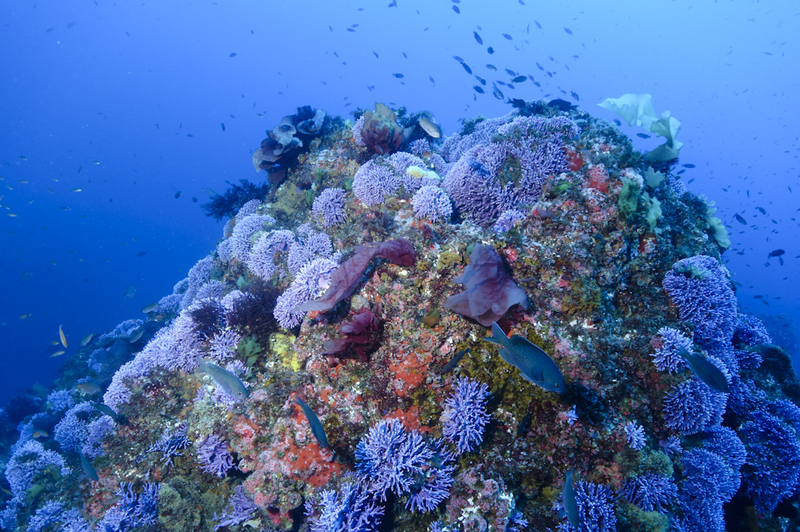 This unique location boasts one-of-a-kind purple hydro coral, large schools of fish, octopus, lobster, morays, electric torpedo rays, sheepshead, and the occasional sea lion. The remaining dives of the day will take place on the frontside of the island and will be rated for all level of experience. Again, this is a trip we only attempt once a year, so if you are interested, sign up now so you don’t miss this unique dive experience!